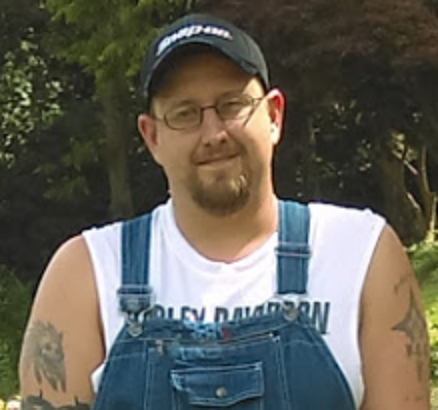 Gabriel Gary Lewis III (known as Gabe or Gary) died Sunday February 3, 2019 at his home in Westminster, MD. It is with great sadness and heavy hearts that this wonderful, loving man was taken from our lives. Gary was a kind and loving father, husband, son, brother and friend who always had a smile on his face and a helping hand to lend. He leaves behind his wife, Heather Angell-Lewis, whom he married May 2, 2018, two daughters, Elizabeth and Nicole and his unborn daughter, Madison. Gary graduated the class of 2000 at Middletown High School. He also attended CTC, in which he achieved high honors in the diesel mechanic class. He completed one year of business at Wor Wic Community College in Salibury MD. He lent his talents to several business that we’re in need of expertise as a heavy equipment mechanic. Gary lived life to its fullest and took on every task as a challenge. He easily overcame these challenges as if they came natural to him. From the time he was a small child he enjoyed taking things apart, figuring out how it worked, and putting it back together. Gary was the apple of his grandpap’e eye, Bernard. He was the son that his grandfather never had, whom the sun rose and set, and his forever pride and joy. Gary was born June 18, 1982 in Hagerstown and raised in the small community outside of Wolfsville. He is also survived by his mother, Lois Gaver and stepfather, Tim Brown of Thurmont, his father Gabriel Gary Lewis Jr, and stepmother Susan of West Plains, MO, his sister Crystal Uppercue and husband Kenny and their three children Kierstyn, Charlie and Caleb of Jefferson MD, his maternal grandparents Bernard and Evelyn Gaver of Myersville, his paternal grandparents Gabriel and Sandra Lewis of Smithsburg, and paternal grandmother Barbara Lewis of West Plains MO, an aunt Linda Winfield of Boonsboro and an aunt Sandy Mountcastle of Smithsburg, as well as several cousins. Gary worked hard to provide for his family. He loved the outdoors, farming and God. He was a member of the Water Boyz for Jesus where he shared his story and love for God with many people. Services will be held Saturday, February 9, 2019 at 3:00pm at J.L. Davis Funeral Home, Smithsburg, MD, with Paul Foss officiating. Burial will be private and at the convenience of the family. The family will receive friends from 1-3pm before the service. In lieu of flowers a donation can be made to Gary's wife Heather and the children, or a local recovery house in Frederick. Online condolences may be offered at, www.jldavisfh.com.